A land of the Renaissance infused with a rainbow, the air of the town is filled with enchantment and excitement. Located on the Warta River, Poznan is a city in in west-central Poland and the oldest and largest town of the nation. A blend of the ancient and modern cultures, Poznan represents a myriad of histories that span for decades, retaining much of its historic architecture. A hub for trade, sports, tourism, trade, Poznan works as a major university city, holding Poland's third largest university Adam Mickiewicz University. The city also hosts a collection of fairs and events, including the world-renowned Poznan International Fair, the biggest industrial fair in Poland and one of the largest overall fairs in Europe. There are also many venues for entertainment in the arts and history, including the National Museum, the Grand Theatre, the Imperial Castle, the Poznan Townhall, and the Poznan Cathedral. 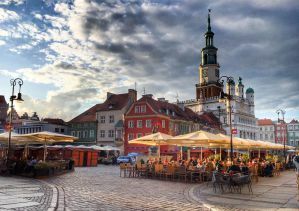 Besides its profound culture, Poznan has been ranked highly for its quality of education, life, and health care. 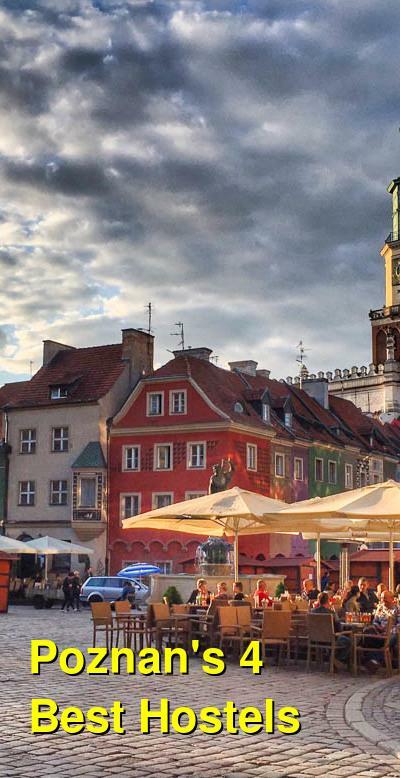 Considered one of the seven "New Polish Wonders," you will find that there is so much to do in Poznan. However, with all this activity, you will want a place to rest that is clean, comfortable, and within your budget. Many of Poznan's hostels can offer you with such a lodging and more. How much do hostels in Poznan cost? A hostel where the world's travelers are nestled under one roof, Poco Loco Hostel is a lodging founded by travelers for travelers. Poco Loco is about a fifteen minutes from the old center and a twenty minute walk from the bus and train station. Private small rooms as well as dormitories give you a diverse set of options for room types. The rooms are known to be clean, comfortable, and colorful. Poco Loco has a common room, fully equipped kitchen, luggage storage, and complimentary games. Meals can be paid for at the cafe, and vending machines are found throughout hostel as well. Other amenities include free coffee and tea, a bike rental service, free Wifi, organized city tours, a library of mountaineer and traveler books, cinema shows, and coupons for clubs and restaurants. However, it should be noted that Wifi only works on the reception floor. Comfortable rooms, a friendly staff, and affordable prices--Blooms Boutique Hostel and Apartments is everything you need in lodging. Blooms Boutique is in a historical townhouse built in 1903 and was known as the "Flower Villa." Renovated with more modern designs for modern comforts, Blooms Boutique is a colorful, quaint stay that you will love. Located in downtown Poznan, Blooms Boutique is right next to the Old Brewery Mall and five minutes from the Old Market Square. Blooms Boutique can house up to 123 people in 41 rooms of varying types. It should be noted that shared bathrooms are unisex. There are, however, private bathrooms in the "inn" section of the hostel. They offer both private and shared rooms depending on your preference. Other amenities include a common room, lockers, a book exchange, free Wifi, reading light, cable TV, and parking. Meals are offered but they are not included. Located in the heart of Poznan, a steaming hot cup of coffee and cozy bedroom is waiting for you at Tey Hostel. Located on the bustling, historic Swiztoslawska street, Tey Hostel is near the Old Market. With a friendly staff and beautifully decorated rooms, it is hard not to fall completely in love with this clean, comfy hostel. Rooms and bathrooms are both private and shared depending on your preference. Tey also has a common room with a fully equipped kitchenette at your disposal. Meals are not included but can be paid for at their cafe, where quality food is being made throughout the day. Other amenities include lockers, free Wifi, cable TV, steam room, reading light, meeting rooms, and more. Soda Hostel is one of the most highly recommended hostels throughout the city of Poznan. A charming staff, clean and comfortable rooms, entertainment for guests--Soda seems to outdo itself in creating a unique and popular lodging space for travelers. All rooms acquire a private bathroom, and room types vary between twins and doubles. All bedrooms have both a TV as well as access to highspeed Wifi. There is also a common room that includes a PS3, TV, coffee machine, kitchenette, books, newspapers, and laptops for guests. Other amenities include lockers, book exchange, steam rooms, and more. Enjoy your stay in Poznan!